SelectHub is real people helping you find the best EDI software for your unique business needs while recognizing the top EDI service providers who help make your decisions possible. EDI software enables the system-to-system exchange of data found in business documents such as invoices, purchase orders and shipping notifications. Businesses have used electronic data interchange software for decades to improve operating efficiency and to strengthen coordination with external trading partners. There are many top EDI providers on the market, so take some time to find the EDI solution that works best for you. EDI software allows businesses to transmit important documents such as purchase orders in a timely, secure manner. When looking to implement EDI software, make sure to account for factors such as budget and the tools that your business partners use to increase the likelihood of successful application. EDI system features vary among EDI vendors, so it’s recommended that you use a list of your own business requirements in order to discover the best solution for you. When discussing software options with EDI companies, make sure to ask about logistics, specific features that you need and any potential barriers to entry that you expect to encounter. EDI solutions reduce the time and manpower required for business-to-business (B2B) file and information transfer. EDI business-to-customer (B2C) solutions are also prevalent and can help ease some of the points of tension along the supply chain. When this software is integrated, EDI products serve as a starting point for a range of business functions meant to ease the facilitation of business processes. For example, you could use EDI to automate and hasten the secure transfer of purchase order data from your system to that of your business partners. By using EDI for this process, you can reduce the time and manpower spent on finding the accurate recipient of this information, converting it to the correct format and uploading the attachment. By itself, the process of sending one purchase order doesn’t take up a lot of time, but when you compound all of the POs that you send out, it adds up. How EDI works is that generated documents are fed into the software and then converted to a generic EDI format, such as X12, EDIFACT or UBL. Once this translation occurs, the document can then be sent to your business partner through a secure connection. You may opt for a direct, point-to-point connection to complete the transfer, or you might instead opt to use a value-added network (VAN). Some companies choose to use VANs to reduce infrastructure investment and overhead expense. VANs test and manage EDI connections on a company’s behalf, which is an option if you wish to simplify the process. Here are some visualizations of how point-to-point connections and VANs work. Point-to-point integration: Business-to-business communication software installed within the internal corporate environment allows for flexibility to control and have full access to individual connections, yet it requires significant organizational investment in terms of time, money and professional development. 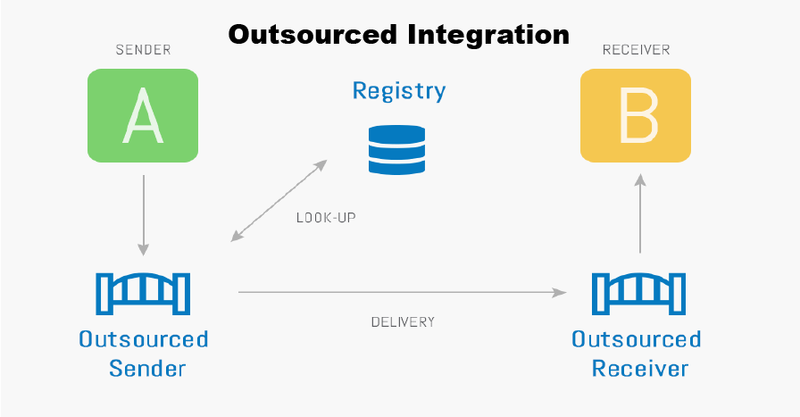 Outsourced integration: Third parties, called interconnects, offer businesses managed services and a simplified process for EDI. Although organizations inevitably lose speed in establishing new connections and visibility into existing ones, third parties (like VANs) test and manage EDI connections on a company’s behalf, reducing infrastructure investment and overhead expense. EDI processing software significantly reduces the amount of time spent waiting on documents to arrive, whether you typically receive information via email, mail or courier pigeon. By using a centralized delivery method, important documents are less likely to get lost in the mail or stopped by a spam folder. A good way to think of how an EDI service increases workflow speeds is by considering the time you spend going through your address book, selecting recipients, writing an email body with context as to the content of your message, waiting for your attachment to successfully upload and then monitoring your messages for confirmation of successful receipt. With EDI, you just have to transmit the aforementioned attachment to the software. Because the route to your business partner has been pre-programmed, you can be assured that your transmission went to the right place and notification features confirm successful receipt. Human error is a huge culprit of reduced company productivity. In fact, in a 2016 study, 57 percent of sampled prescriptions had human-generated mistakes. It sure makes you think about how many accidental typos have affected your business. By going with an EDI solution provider, you can reduce the amount of human involvement needed in the transmission of information, therefore improving productivity. Additionally, EDI products can help free up some of your valuable time so that you can spend more of your day working on other essential business functions that can’t be automated. When making a software decision, EDI integration tools are a major selling point. After all, you don’t want to rethink your entire software strategy if you can avoid it, right? Many EDI software options allow for easy integration with other software that your company may be currently using for processes such as accounting, warehouse management and ERP. As software needs grow and solutions become ever more prevalent, EDI integration software will become more and more essential. It’s always a good idea to ensure that your technology is compatible. Workability among your different software systems can only improve your outcomes, especially when you consider time spent keying information or transferring data from one software system to another. Before you decide on which EDI program to buy, it’s important that you create a list of goals that you hope to meet during a successful implementation. If you’ve purchased software before, you know that the process can quickly get out-of-hand or over budget, so these goals should help you keep everything straight along the way. Before you begin, you should develop an appropriate software budget. This will prevent you from overspending on factors such as additional users and special capabilities that sound amazing in the moment but don’t look so great after the numbers are added up. Because of the range of EDI solutions that are available on the market right now, it is likely that businesses that you work with have some sort of EDI system already set up. You will need to coordinate with your business partners to determine which EDI translation they use in their system to make sure that it has the ability to parse the language of the solution that you are interested in. Deploying software takes work, to put it lightly. Look at your IT department’s current commitment schedule to determine a good time for installation. This will help users receive the software support that they need in order to use the system most effectively. Perhaps most importantly, think about what benefits you wish to achieve with the implementation of your new software. Whether you are looking for increased integration, faster turnaround or are required to purchase EDI software by one of your business partners, considering this factor will strongly inform your purchase decision. Once you determine your business’s unique EDI software requirements, the next step is to create a checklist of EDI tools that you specifically need your system to include. There are hundreds of functions to choose from, but some main categories that are popularly requested are listed below. EDI transformation and translation securely transfer encrypted files over public and private networks, allowing businesses to communicate more efficiently. Many EDI platforms provide an integration platform for converting messages and documents from one encoding method to another. DI mapping is an attribute that synchronizes your business operations with that of your business partner(s). By mapping inbound and outbound messages, documents can be easily and securely sent through the system. The testing feature allows businesses to use a test environment to look at the features and functionalities involved in their specific solution. This ensures that upon deployment, everything works the way it’s meant to. Transaction lifecycle management helps users identify transaction trends. This feature will also solve errors by conducting processes such as removing duplicate entries. Notifications of any transmission errors are also present due to continuous monitoring of data. EDI integration is an extremely beneficial feature that allows you to connect your EDI software with other software that you currently use or will implement in the future. Many EDI options provide integration with ERP software and some will even build custom integrations based on your software needs. Stemming from our research with hundreds of software owners and managers who are all looking for the best EDI software, we gained knowledge of the unique features buyers are seeking out and why they want them. Below are some features outside of the standard set that are frequently sought out. Document management puts transmissions such as financial documents into a centralized location where users can monitor and view data. Users can also keep track of inbound and outbound movement and can opt to receive notifications as transmissions progress. Order management allows users to create and process orders while also editing and sending out shipping notifications. Automated scheduling technology may also be included with this function. Real-time data analytics reports and visualization tools provide information on factors such as incoming orders, due orders and trading partner performance. Software is available either on-premise or as cloud-based EDI. Depending on your company’s needs, one of these deployment options may be more well-suited than the other. Database support provides access to platforms such as Microsoft SQL and Oracle. Now that you are aware of some of the features that EDI software companies provide, it’s time to start looking at specific EDI vendors. Comparing EDI service providers can seem like a daunting task, which is why we’ve compiled an in-depth EDI comparison report. This report compares the features of dozens of EDI systems to help you find an EDI company that aligns with your needs. If you’re reading this article and you’re still asking yourself if EDI is the right choice for your company, you might consider asking these questions. Are your current business partners using EDI? It is important to determine the software programs that your partners use, if any, when deciding if EDI is the correct tool for you. If your business partner is unwilling or unable to support your EDI translation software, then it might not be a great fit at this time. Is EDI or API a better option for my specific needs? Some companies are migrating to using APIs for their technology needs. There are pros and cons to API and EDI technologies, and it’s ultimately up to you which type of solution you prefer. Which business functions will I use EDI for and does EDI support those needs? Look at the file formats that you wish to send along with any other specific functionality that you are attempting to gain by introducing new software to your business. Depending on the breadth of features that you wish to implement, it may make sense to use an “all-in-one” solution like ERP software along with an EDI solution to ensure successful software integration. When selecting an EDI software vendor, you should consider asking them a few questions about the industries that they have experience in, their company viability, etc. Here are a few things to ask about when you’re considering a potential software solution. Have you ever worked with a company in my industry? You will likely prefer to work with an EDI software company that has experience in your industry or an adjacent industry. What kind of EDI translation do you support, and will it work with the system that my current business partners are using? In order to ensure that your new software works properly for both you and your business partners, the EDI that you implement needs to work downstream at your partner’s site. How much integration is available? Does the system integrate with the software programs that I'm currently using? You can reduce the headache of trying to integrate software that isn’t compatible by identifying the technology that you currently use and discussing how it integrates with a vendor’s EDI solution. What size of business do you typically work with? Some software is more well-suited to small businesses, just as some is to large businesses. You should ask the EDI software provider if their software will work well for the size of business that you are seeking software for. How often are system updates made, and what is the process for implementing them? The last thing you want to do is purchase a software solution that is difficult to update when the need arises. Adaptability and support are essential factors to consider when selecting software. What kind of tech support do you offer? As you are likely aware, a positive customer experience can greatly impact how efficiently you are able to use a software service.  Choosing a company that has a well-rounded and helpful tech support line could help you get the best bang out for your buck from your solution. Infocon Systems is an established EDI service provider and connects with all trading partners across different industries. Headquartered in Louisville, KY and backed by a dedicated team of experts for over 30 years, the company integrates with any ERP or business process management system and designs custom solutions maintaining a seamless workflow between its customers and their trading partners. More than EDI software, Babelway is a pioneering Integration Platform as a Service (iPaaS) that automates business-to-business data and document exchange. Babelway not only allows you to easily build and manage your EDI and eInvoicing connections but also seamlessly integrates unrelated information sources, databases, and applications with trading partners that use a variety of technologies and protocols to send and receive data. With Babelway, you can: •	Empower business users with intuitive tools: No coding or programming is required to configure Babelway. You can set up new connections by simply pointing and clicking. •	Remove barriers to tighter partner integration: With Babelway, you can digitize structured documents sent by lower volume partners without their direct involvement. •	Exchange data using any format or protocol: Send and receive all of your partner data in XML, JSON, CSV, X12, and other formats through a variety of gateways, including AS2, HTTP, SAP, and others. EDIConnect facilitates computer-to-computer exchange of business documents in a standard format between trade partners. With capabilities for incoming file translation, acknowledgment generation, outgoing transaction construction, trade partner management, process orchestration and scheduling, EDIConnect can fulfill the most demanding EDI needs.The transaction builder features a drag-and-drop interface to build complex, hierarchical transactions. With instant preview, users can identify and resolve mapping errors in real time. The data is then validated against an EDI format and sent to the partner. EDI standards like ASC X12 and HIPAA are supported. Users can also build custom transaction sets according to partner requirements. AFFORDABLE MyB2B makes EDI as easy as email. Turnkey solution cures EDI headaches. Connects with ANY EDI customer. Includes all document types and ready-to-print barcode labels. Cloud based for no software worries. Web forms are fast, even with 100's of documents. Optional integration with almost any system or 3PL. Service you can count on. No long-term contract. No hidden fees. Join 1,000's of satisfied clients enjoying exceptional service and better pricing. Get a fast free quote today. EDI Advantage is the market leading EDI integration solution and the reason for that is no secret: EDI Advantage gives you the most tools to reduce your document processing time while automating procedures that dramatically lower your overhead costs. Completely integrated with Sage 100, EDI Advantage lives right in your module folders. Select the modules you need and they display like they were built-in all along. We built the industry’s most robust translator right into EDI Advantage. There is no need to fumble around with 3rd party translators or pay extra fees for these services. EDI Advantage is compatible not only with VAN communication services, but also with AS2 and direct FTP connections. So when your trading partners offer the option to use AS2 or direct FTP (as many do), you can bypass the VAN, and the VAN fees. Entrust EDI integrates with Epicor and InforVisual ERP and allows seamless EDI transactions to process in and out of the ERP. EDI Engine™ was developed after many years of experience implementing EDI solutions in the field. It was carefully designed with the specific purposes of making EDI easy with a full featured and scalable engine. The software is versatile enough to work in both stand-alone mode and also in scenarios where a more sophisticated integrated operation is required. EDI Engine™ has a tremendous growth path for small businesses and large companies that run thousands of transactions per day with numerous trading partners. We know that your EDI operation is unique and requires customizable features to help manage day-to-day business within your organization and trading partners. Unlike most EDI software solutions, EDI/HQ™ is intuitive, integrates with most back-office systems, and provides enhanced visibility into transaction management. AccellosOne EDI for Dynamics GP is the only EDI solution built exclusively for Microsoft Dynamics GP. Embedded within Microsoft Dynamics GP, AccellosOne EDI for GP allows you to process EDI transactions within the GP Sales Order and Purchase Order Processing modules. Our solution streamlines your EDI workflows so that your employees can process transactions efficiently and with greater accuracy without having to be EDI experts. Axway 5 Suite gives you the power to integrate, secure, manage and measure all of the data flows that drive your business interactions, so you can get closer to your customers and work smarter with your partners. By breaking down barriers between applications, departments, locations and user communities, you can move from the chaos of point-to-point connections to a proactive and predictive environment where you control and optimize the flows of data that impact your business. DiWeb offers an advanced, cost-effective, hosted solution, to instantly become EDI compliant with your trading partner community. Transactions are completed, validated, and transmitted effortlessly. Real-time visibility of all documents throughout the entire supply chain are built into the web application at no additional cost. Seamless integration is available to/from any backend application such as your accounting package. We connect you to your greatest opportunities. Like thousands of our customers, you’ve achieved great success by winning new business. The HighJump platform will help you maintain and grow your largest relationships by optimizing your supply chain processes. Our customers increase order processing efficiencies, and reduce operating costs by utilizing our affordable, easy-to-use and trusted solution. CovalentWorks provides EDI services for small companies that need to do business with their large-company customers. With the MyB2B small business EDI solution, your company can easily implement EDI and become compliant with any customer. Beacon EDI is a web based EDI system that allows to create invoices, shipment documents and other transactions. The formula for business integration success with SEEBURGER is derived from a simple concept: “Single source – complete control”. SEEBURGER Business Integration Suite provides an open platform that is designed to easily integrate into existing infrastructures. And it’s open interfaces enable the platform to be supplemented and/or expanded using components from other manufacturers. SkySignature is an online Digital Signature application. Fast, Easy and straight forward. Free for personal use. Very flexible and intuitive. It is fully loaded with many helpful features and PDF editing tools such as "type anywhere" capability available exclusively only on SkySignature.com. More features such as Sign-Here tags that can be dragged and dropped onto the document. Allows to create a new PDF document out of the individual pages from existing PDF Documents. SkySignature uses a custom, unique advanced encryption algorithm to ensure security. Visit www.skysignature.com to sign up for free and discover how easy it is to sign a document online. Data-Files containing list of procedure codes and a corresponding list of supporting (and in a few cases, non-supporting) diagnosis codes - based off of CMS' National Coverage Determinations, and Medicare Administrative Contractors (MAC)'s Local Coverage Determinations. When your retail partners ask you to do EDI, trust the industry’s leading platform. The only EDI solution that gives you full-cycle visibility into your orders inventory — in real-time. Parse, generate, validate or acknowledge EDI documents the easy way. Adeptia Integration Suite is a versatile integration software platform that offers a web-based user interface with user management and role-based security. VL OMNI provides agile and scalable SaaS data integration (including EDI). Accelerate Growth with VL OMNI: Your trusted integration platform for real-time accurate customer order data, shipment details, inventory, and prices.VL OMNI is an agile point to multi-channel data integration service. Over 200 businesses trust VL OMNI to move data seamlessly through their infrastructure as they grow, expand and accelerate their business. EDIAdmin provides end-to-end, fully managed and automated EDI and ERP iPaaS cloud solutions that empower business users and IT stakeholders to efficiently respond to EDI data challenges in real time. Synchronization of the EDIAdmin CHIP platform and world-class service, developed through over 20 years of B2B experience, allows EDIAdmin to deliver solutions that reduce risk and resource dependence while maximizing the client bottom line. Vantage Point EDI provides a complete EDI and XML processing platform that delivers broad and deep document integration to organizations that use supported ERP solutions in which we are experts. In addition to integration we provide ongoing partner compliance in a highly cost-effective manner.Vantage Point is certified for Microsoft Dynamics 365, AX, GP and NAV as well as Macola ERP. Our solution-oriented approach takes the risk and expense out of EDI integration since it is a setup process without ERP customization. When was the last time you re-evaluated your EDI integration strategy? Ensure you're leveraging the latest technologies with the Liaison ALLOY™ Platform, which offers flexible cloud implementation options, fully secures your data at rest or in transit, and provides real-time visibility into data flow. Amosoft's EDI solutions can integrate with any accounting software. We have ready-to-go EDI integration solutions for the most popular ERP and accounting software, such as QuickBooks, SAP Business One, SAP R/3 and ECC, Microsoft Dynamics, JD Edwards, Sage and Salesforce. If you use a software application for which we don't have a ready-built integration package, there's no need for concern. We will integrate EDI into any ERP system, accounting software or other custom application. We will meet your needs and get you working with EDI fast. As an established Electronic Data Interchange Solutions provider, Everyday EDI offers translation services that allow you to comply with requirements for all EDI transactions and nearly every retail trading partner. Everyday EDI also provides custom solutions via EDI FTP file transfers, Manual EDI Data Entry. and comprehensive EDI Web Solutions or testing. Contact our sales department to find a solution specifically for your business. At eZCom, our Lingo application is not only robust and intuitive, new features are constantly being added by our development team. Many of these are done because we talk to our customers, and the updates are created to meet their evolving needs.